If you want to experience something new do yourself a favor, grab a motorcycle and go to Istanbul, Turkey. It’s a great destination for everyone including motorcycle enthusiasts, I’m sure you will love the unique culture, history and architecture. From the Blue Mosque in Istanbul to the Ephesus ruins in Kusadasi, the best way to experience all of the exciting tourist attractions on offer in Turkey is on two wheels! Damn I sound like a travel agent (no that isn’t my day job!!). 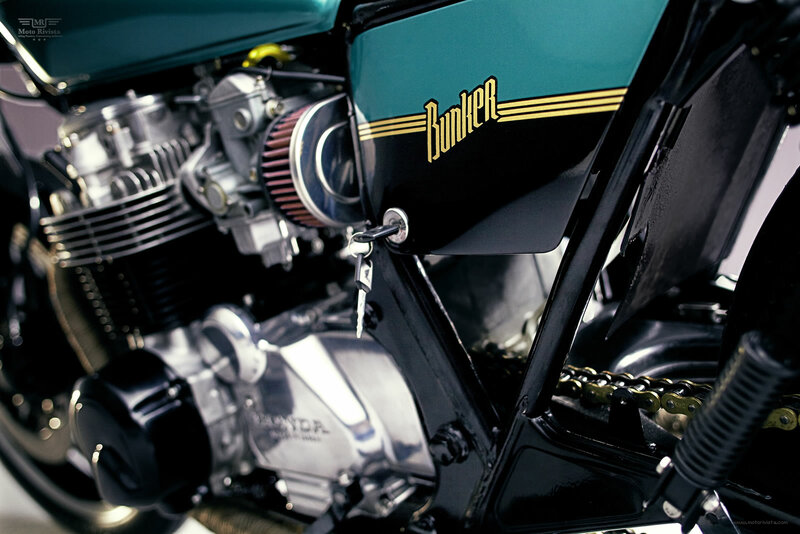 Istanbul is not only a great holiday destination it’s also the home of Bunker Custom Cycles. If my memory serves me correctly this is the very first custom Honda CB650C from Turkey to be featured on Moto Rivista. Handing over to Mert now to give us a run down on the story of Bunker Customs…. According to Mert “ My brother and I opened up our very own motorcycle workshop called Bunker Custom Garage located in Istanbul. I quit my job as a senior art director in an advertising agency to become a full time motorcycle oriented douchebag! 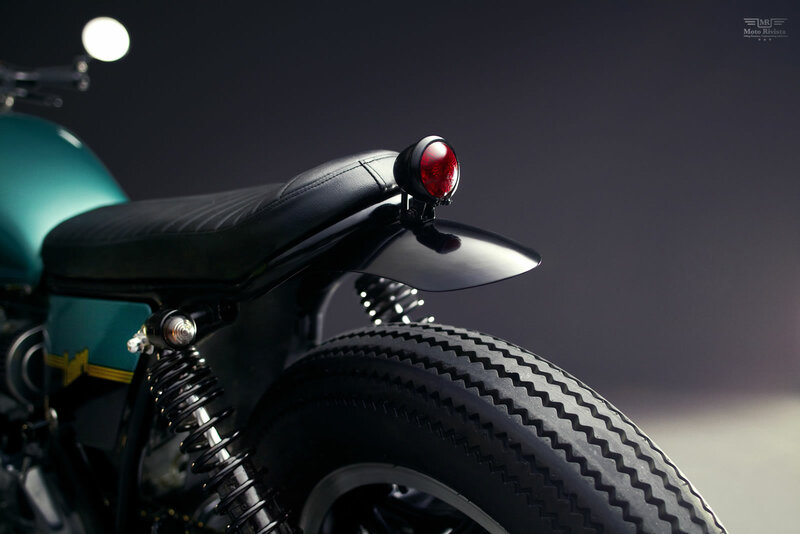 We’ve done several custom projects from a 2013 Triumph Bonneville to a 1948 Triumph Speedtwin. 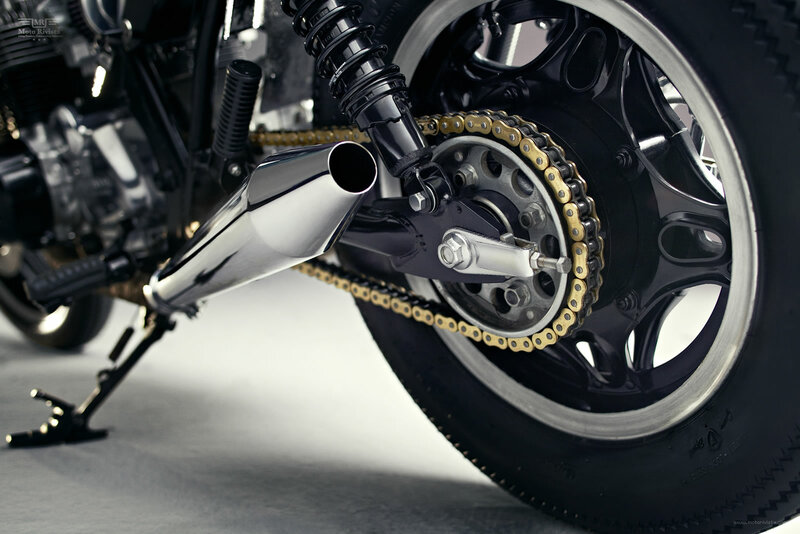 We also customize other manufacturers like BMW, Honda and Yamaha. This Honda CB650C was a fun project. 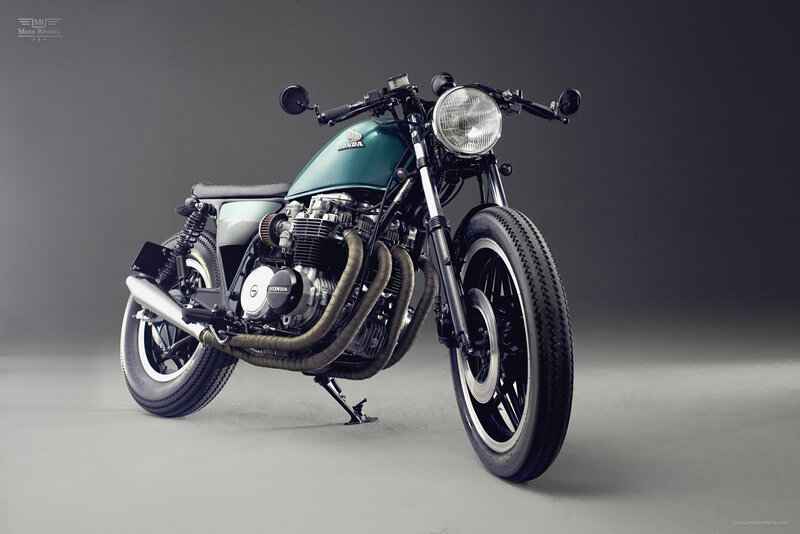 It’s got the same engine as the standard CB650 but a different framework. Originally, it comes with long forks and lower rear shocks to resemble the chopper look. I think Honda made this C type chopper looking series for all CB’s to appeal to a different market. The build started with getting rid of the extra geometry at the frames tail end. And finished with a brat style angled tail and an English-wheeled new aluminum mudguard. To achieve the lean and parallel to the ground main line of the bike, we’ve risen the rear shocks to 13.5 inch with lowbrow shocks and lowered the forks 3-4 cm’s. To maintain the even look we’ve put on 5 and 3.50 Firestone tyres, wrapped on 16 inch rear and 19 inch front wheels. We fitted LSL clip-on handlebars, a Lucas headlight with oem brackets and got rid of the original instrument cluster, replacing them with acewell tacho. A small signal light and stop light were fitted to preserve the clean look. New side panels were English-wheeled to fit the new rear end geometry. The ignition key was rewired and fitted to the left side panel. We’ve combined 4 separate exhaust to 2 into 1 and fitted it with Emgo mufflers. Finishing off the look the new side panels and gas tank have been painted with vintage green and gold and a DID gold chain maintains the color theme. The engine block was garbage when our friend brought us the bike. We’ve gone over the electric, re-bored the engine and changed the valve guides. The cylinder block, trigger unit and alternator covers were painted. We’ve put on K&N 1 to 2 air filters and re-jetted the carbs for max performance. 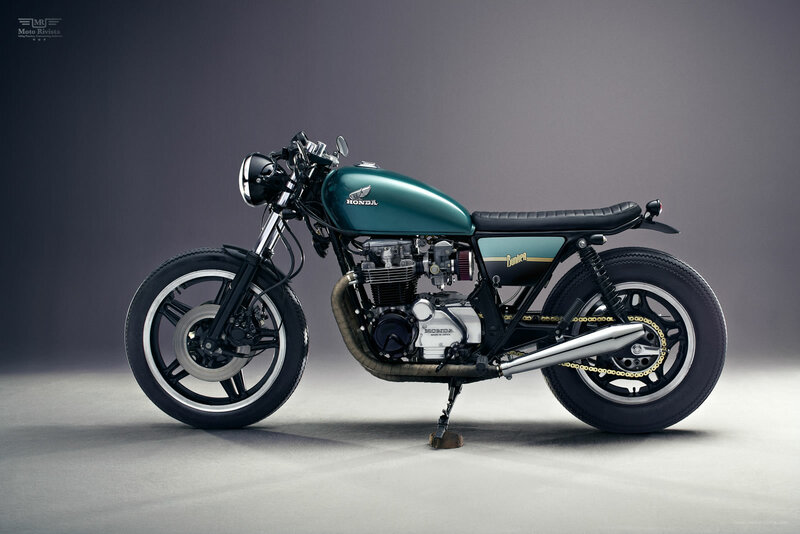 A build like this custom Honda CB650C is a testament to the ever evolving global custom motorbike culture. From an ugly duckling to this Bunker transformation, this custom Honda CB650C is loaded with plenty of Turkish delights! Perfection is achieved, not when there is nothing more to add, but when there is nothing left to take away. 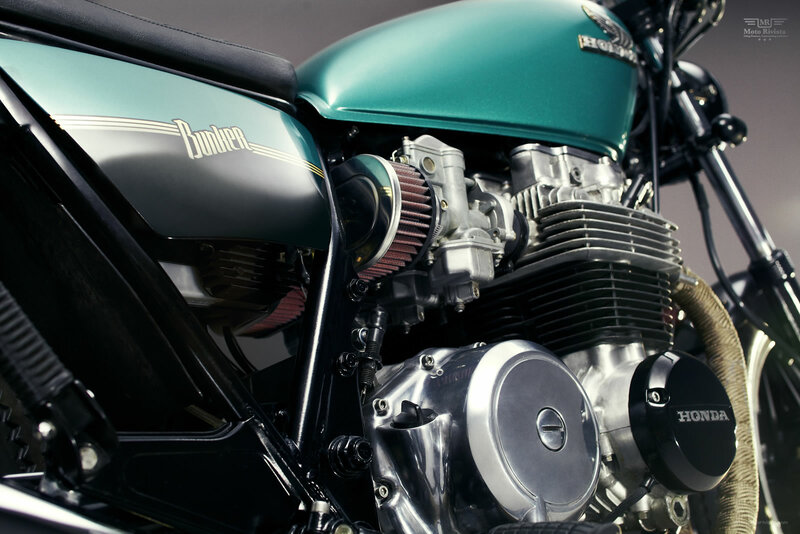 Has this custom Honda CB650C achieved that perfection?